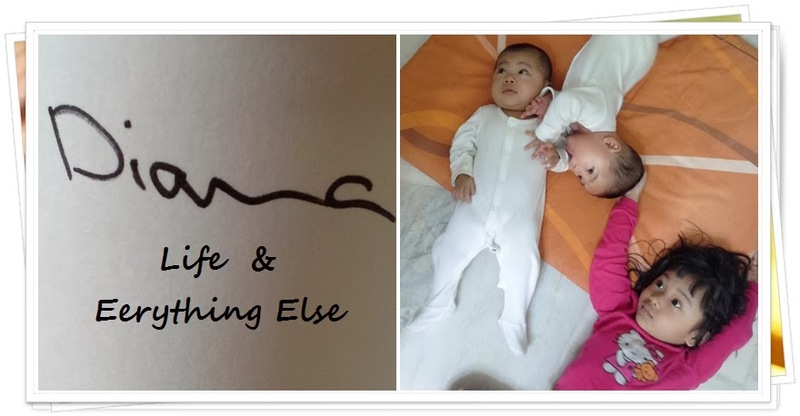 DIANA ABDUL MOLOK: LIFE 'N EVERYTHING ELSE: Welcome 2012! Wow, so yes life has been that hectic at the end of 2011, that I had to wait until the 12th day of January 2012 to be able to say happy new year everyone (Read that in a shout out mode). So there, not much that I want to say. Let's just welcome 2012 with an open heart and hope for the best. Don't linger on the past so much, though if you do look back, let it be to review the 'bads' for improvement. "Cheers to New Year and another chance to get it right"-Oprah Winfrey.